​Selective laser sintering (SLS) uses a laser to precisely fuse nylon powder into lightweight, robust parts. 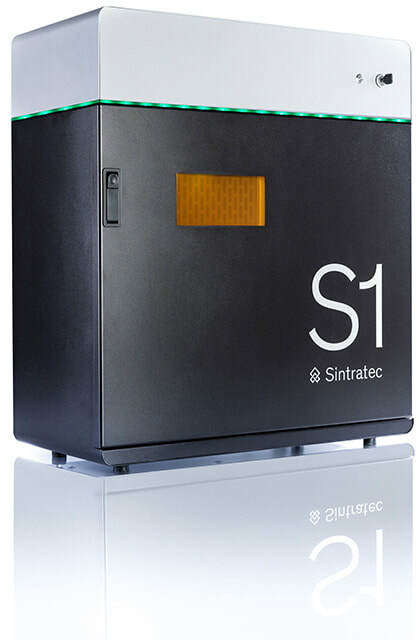 Sintratec S1 enables the 3D printing of detailed, functional parts suited for professional and industrial use. You can print functional parts without support structured in High-Resolution, to an affordable price. 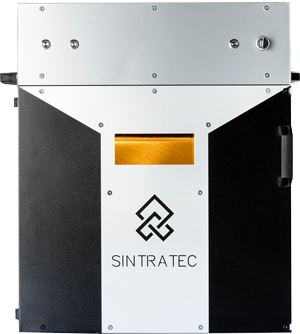 ​* The open parameters on the Sintratec products allow to customize a lot of parameter to work with individual materials and density properties of the sintering speed. ​3D Prints in almost infinite freeform, movable parts and high edge definition are ideal for the production of functional prototypes and models. You can even print movable assemblies and multiple nested objects all in one print. 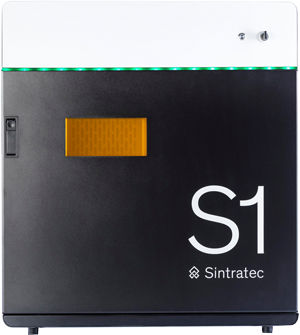 ​The Sintratec S1 is fully CE-certified and runs on standard 230V power connection. You can find more detailed information in the fact sheet below. ​​WHAT MATERIALS CAN I USE? ​​CAN I PRINT WITH METAL POWDER? 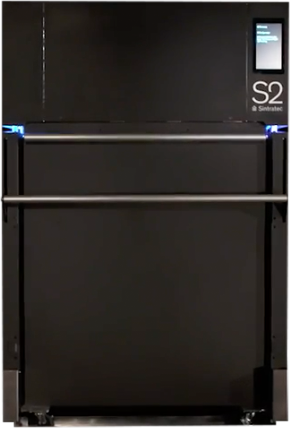 ​​No, the S1 does not support metal printing. ​​WHAT OPERATING SYSTEMS ARE SUPPORTED? ​The Sintratec Central Software is available on Windows. ​Sintratec recommends wearing a provided dust mask while handling powder.